O Lugar Mais Tranquilo e Fácil Para Se Fazer Isso é neste lugar: Fiz como mencionado acima só tive gastos com reparo e não consegui, no local abaixo consegui na primeira. Get drunk at Brewfest then walk off the elevator in Shatt. Or, during the Darkmoon event in Elywnn, get drunk on cheap ale and shoot yourself out of the cannon, dropping the floating buff at the peak height of the shot over water. Does this work if you use slowfall effects? Does druid Cat Form help? Does Noggenfrogger (if you get the featherfall-buff)? Does a druid falling and then switching to flightform get the achievenemt? More importantly does falling 70 yards and surviving the first 65 yards count? Go to any lake with your flying mount,get drunk,dismount and you have done it! Except, at least on the Beta realms, falling into water doesn't work. As far as I know, nothing that slows your fall or makes you take less damage can help you to get this. You need to fall and take damage - I suspect they actually count the fall distance based on how much damage you take? I spoke with a mage friend earlier, and he said that he tried both blink and ice block, but he didn't get the achievement. I'm pretty sure this achievement does not work as of the latest build. I tried jumping off ramps near daggarcap bay in Howling Fjord until I was taking about 95% fall damage and I still wasn't unlocking any achievement. EDIT: Just did a jump while completely smashed off the ramps on the south east corner of daggarcap bay, took about 98-99% damage, no achievement. Definitely bugged. Fall 65 yards without dying while completey smashed. Hopefully they change that typo. I just completed this using Ice Block and a bunch of Cherry Grog off the overhang of Westguard Keep. "Fall 65 yards without dying while completely smashed during the Brewfest Holiday." Ice Block and bubble are confirmed as working for this achievement. It seems the achievement only checks for the distance you fell and if a speed modifier was in effect. So dmg reducing effects do not affect this achievement. Scryer's elevator in Shatt is 65+ yards but just short enough to survive a fall. IT SAYS NOTHING ABOUT SURVIVING! I would imagine anything else that makes you immune to physical damage but doesn't interrupt your falling will also work. Um yeh it kinda does say that you have to fall and not die. Works in the beta, at this time. yes because the expansion they want to be released before Wrath is going to come out five days after their intended release date.. I went to Scryers elevator and jumped off while drunk on Brewfest today, it should meet the required distance shouldn't it?. Don't jump of the Aldor one it's instant death. But I did it anyway hoping that this stuff will be retroactively given credit once WOTLK come outm if not oh well. If you jump off the Scryer's elevator and miss the platform below, it's just enough to make the achievement. Make sure to land to the right or left of the platform, not the middle. If you do it correctly, you'll end up with very little life and a new achievement! Pony kegs are useful to get smashed for free multiple times for practice. Thing is Darkmoon Faire and Brewfest don't run together. If they did then this would be useful information. I tried hitting water and using a Skyguard's Drape on PTR but did not get the achievement. you MUST take dmg for this. the game calculates how long you fall by the percentage of damage you take when you hit ground, so everyone who is thinking about to bubble, slow fall, parachute etc. DON'T TRY. it is a waste of cd/reagents. One more thing, don't post so many comments that you did the things for this, but did not get any credit, you MUST do this on brewfest AND be completely smashed (the highest lvl of unsoberness) while you jump. i'm not sure but i think it will be enough by jumping from scryers tier in shatt down on that small bridge (that lets you go on the elevator). IF you follow this you will get 10 points easily. btw, can anyone tell me what these points are used for? No. You have to land and live. Slowfall effects also don't work, if you use a slowfall you don't get it. Can't land in water. You MUST hit the ground, at full speed. Distance is not measured by damage, as Rogues passively take less damage from falls and still only have to fall 65y. Paladin's divine shield and Mage's ice block indeed work (This can be fixed anytime, i asked GM which said this is a known bug, and will get repaired soon), however, other forms of slowfall do NOT work. One of easy ways to do this, is to walk off the Lumber mill edge in AB battleground while mounted. Easy as that. Added screenshot for orientation. And what Bobrik was saying that getting the achievement with Ice Block or Divine Shield was not intended, and will be fixed. It is measured by damage taken. However, it is measured by the original damage taken before reductions and immunities. If a rogue falls he takes X damage and then a certain amount is subtracted from it according to the value of the skill. He can end up taking no damage, but the game still registers a fall. If you listen even if they take no damage they still vocalize the falling sound. This is only a slightly altered version of the Going Down? Achievement. If you've already found a location (or trick) to getting Going Down?, just go there and do it again when you're drunk. divine shield would work if you a paladin. just saying. it does block fall damage, I tested it in sunken temple. just fyi. Although a good way to try (for those that bothered to get DBM) is to do a "/distance 65"
Once you do that, a box will show up with the names of all the people within 65 yards of you. Once you do that distance check, invite someone to your group, get on a flying mount right next to them, and fly straight up until you don't see your friends name in the box. For people who don't have DBM, the place I used for 'Going Down?' was one of the bridges over Lower City, in Shattrath. The one directly opposite Aldor Rise. If you jump off there (don't just step; it's not quite high enough if you step off), the distance is enough to get you the achievement, but not enough to kill you. You need to stand on the 'lip' of the bridge and jump down to the path. The 'sweet spot' is at 70.0, 51.5. Or here on a map. (##RESPBREAK##)652##DELIM##Neutronimity##DELIM##Updated map link. Fall 65 yards without dying while completely smashed...or you will be completely smashed! Two good places I use for my Horde toons are the elevator in Thunder Bluff, by standing in the platform and running back to wall, or going to Undercity Bat exit and falling in the goo bellow. I have found an easy place for this. Take your booze with you and que up for Alterac Valley. There is a graveyard at about the middle of the BG on the western side, not sure the name. You have to ride (or run) up a steep hill to get to the flag. Pop a top, get stewed and walk off the cliff to the south (go between the trees from the flag). It'll hit you to within inches of your life but you are drunk, who cares! At the bottom is a nice place to pop out a feast and heal up. Achievement, Honor and XP in one run! Doesnt take a brain surgeon to realize this will work for Going Down also. Hope this helps a little. They work for the reason stated above. Unlike slow fall and what not, you still technically take damage with these abilities. Damage is used to judge fall height. However, these abilities stops the damage post calculation so you receive 0 or "immune". You can fall while flying. Paladins, just fly in the air as high as you want, dismiss your mount. Fall, bubble, win. As for the other classes, it'll work, but surviving is a different story. Dun Nifflelem Flight Point in Storm Peaks - after you've landed, get smashed and simply run off the closest edge. I used my flying mount in Dalaran, Krasus' Landing, to complete this achievement. 1. Get smashed from any kind of strong alcohol (you need to drink 5 of them). 2. Mount up, using your flying mount. 3. Fly up to the same height as the entrance tower's cupola-top is. That is around 65 yard away from the floor. Might happen that you die once or twice while you calibrate the best height so maybe it is a good idea to strip your character before you try it out. You can achieve this with Synthebrew goggles instead of being actually drunk. Note that you can use the Synthebrew Goggles to do this achievement without consuming any alcohol. Apparently it literally is exactly like being drunk, as far as the game is concerned. For Mages, Ice Block still works to get this achievement. I was in Shattrath City near the Brewfest vendors, bought enough alcohol to get completely smashed, then floated up on my mount well above 65 yards. I let myself free fall for about three to four seconds before casting Ice Block. Landed and voila: achievement earned. I just did this with a pally bubble from the tower in dal that ports you to cos. I flew up to the landing, got smashed, had a pally bubble me and jumped off. got ach woot! This is not true. You just have to fall the distance and survive, it is not important if you lose HP or not. I dont get it...why are you looking for perfect locations to do this, when it´s so easy? Also works for any other class....group with a paladin, get smashed, hover 20 metres over him on your flying mount > Get Hand of Protection, fly up until the timer hits approx. 6 sec and jump off your mount ... tadaaa! so using DBM gave me a good idea of where to dismount a plummet from. Can confirm that iceblocking does work for this achievement on live realms. You can use the goggles while falling they work the same as consuming beer. I just fell off the ledge in TB and got the achievement. Note: just go on the 1st floor in wyrmrest temple get drunk and jump to the floor under yours and you get the achivement! Thunder Bluff's elevator to Mulgore (on the Lower Rise) should work fine... just make sure you step off of the side that has the ramp. Stepping off the other sides, going all the way to the dirt, is fatal. Happened by accident on my priest while I was running Heroic Nexus. I fell off the ledge died and turned into the spirit of redemption and got the achievement to fall 65 yards without dying. I suppose it should work just as well for the Drunker Stupor Achievement. Kurasu's post worked like a charm. Wow Kurasu has a perfect spot! Except I jumped and died and the next time I walked off the edge instead of jumped and I got it. Also I only brought booze to get completely smashed and had to find more. World End's Tavern almost directly north of there from the barmaid for those who need it. None of those worked for me so I went to where I got my falling achievement. Thrallmar .. the cliffs to the west of town. This did it for me. In the Isle of Conquest BG, get completely smashed then hop onto a catapult (one of the vehicles you get for holding the Docks). Take the catapult to the enemy keep and target over the wall. Move the trajectory until it is as high of an arch as you can. Launch yourself and enjoy your easy achievement. At last,I tried to use ice block before I touch the ground,it worked.I got the achievement. Not sure if anyone commented on whether or not it will work, but wearing the glasses while taking the fall does complete the achievement. I drank 5 jugs of bourbon, and jumped from the cliff in view of the elevators in Thunder Bluff. I made it fine and got a "Health Low" w/3701 hp. Does using a Compass before you land work? Just another good place I havn't read about where you can do this achievement and is very easy for those who can FLY. Go to Dragonblight, Wyrmrest Temple (60,52) and go to where the Flight Path is (Nethestrasz). Mount up and fly straight up to the first platform you come to, get on it, dismount, DRINK UP, and JUMP. Never failed here with any toon I have tired. Another spot that works is the West elevator in Thunder Bluff @ 33, 65. Just step off off. You'll land between the ramp and the cliffside and should survive with about 3% health. Make sure you're drunk enough if you find you're still not getting the achievement. If you are Horde queenblarney has the best idea. Get on the disc at the bottom of the TB elevator and jump off, you will almost die but live. Easiest way to get smashed is to wear the goggles you get by telling the masked goblin you don't like to drink. The best spot I've found is jumping off the left side of the Scryers tower just behind the elevator. Run and jump so you don't slide down. I use the Dalaran Crater. You also don't have to get drunk - you can use the Synthebrew Goggles, if you have them, and it'll count. Yeah, works perfectly. Thanks for the idea. However, be careful and make sure your full on health. Left me with 1400 when I landed, and MAKE SURE YOUR DRUNK! Perfect tip. Thanks for the post! 70.0 51.5 (in Shat) is exactly where to go! Thank you! I got the achievement finally after much dying! I got the perfect place! You know the pipe you go thru when you take the FP out of UC... that pipe you go thru before you are actually out, well go into UC thru there. Follow it down till you get to a pipe on yur left(that you can't exactly reach... yet), and a door on your right... take the door. Then turn left and left again and you're back in the pipe, go left and just "RUN" straight out. Have not tried it on a mount or while walking, lol, it was totally an accident the first time. Has worked for me everytime and also for "Going Down?" achievment. Remember... don't look... just run off. HORDE: This was easy once i figured out where to do it. Goto TB at the bottom of the western elevators,., get your brew.. stock up on it. Get on the southern most elevator, and get SMASHED!. When the elevator reaches the top.... Step off, away from the ramp. Several guild members tried it with 100% success each time. For those without DBM or don't want to find a bridge; use a regular flyer and fly straight up 4 wing flaps and then dismount. Paladins can indeed bubble and fall to get this achievement, just like Going Down? It works! I used the teleport to Shattrah, and in the second try, ding! Achievement!. Well, I tried Kurasu's spot about four times, but apparently I'm retarded and doing it wrong somehow, so I flew around Shatt looking for somewhere else. And I found it! Going off of someone else's post (that I can't find again) mentioning flying 2/3 up the Aldor Rise and dismounting, I discovered that if you face the Aldor elevator from the Terrace of Light teleport area, there's a ledge to the left of the elevator. The coordinates are 39.2, 47.1 and it's directly over the small Brewfest NPC group. I didn't know if it would make any difference, but I put on my only speed buff that I have as a hunter and ran and jumped off the ledge. Got both Drunken Stupor and Going Down?. And since it's right there near the Brewfest kegs, you don't even have to buy any booze if you've got your Brewfest Stein. Good luck! amazingly good info, this helped very much! I used this area for 'Drunken Stupor' & then used friends as labrats to check it for 'Going Down?'. Worked every time 12+ tries, once we got it down right. Go to the described spot in Shat City (71.0, 52.0). In the middle of the bridge is a space with a ramp up the 'siderail'. Step up onto the siderail (facing North) & stand between the ledge that's just under the bridge & the ramp. And now, with an overhead view downwards...get completely smashed (for Drunken Stupor)...& walk straight north parallel to the ledge straight down to the lowest area below. Now heal up with pride over your newest achievement! 78 pala (me), 75 DK Xandrace, 40 rogue Tinie, & 32 lock Lockelori all lived time & time again. With & without buffs. make sure your friend isn't drunk, and thinks its funny to fly up, thus making you think you are falling 66 feet, but really you are falling 500 feet. Kurasu has the best spot. I submitted a couple pics of the spot he found. Thanks man! of course you want to do it lower then creep up higher till u hit the mark. I'm glad I read your post before doing it. You're right, all I had to do was walk off. The spot by Kurasu was PERFECT. Thanks! confirmed, the bridge in shat worked flawlessly the very first try! The lip he's referring to is the slight ledge or handrail so-to-speak. thanks a ton! The easiest way is to group up with a nearby paladin, drink a lot, fly high enough right on top of him, dismount and let him cast Hand of Protection on you before you hit the ground, it'll make you immune to physical damage, including fall damage, but will still reward you the achievement. Also, you might want to promise him a little fee if you don't know the guy, as you can't be certain that he will cast it, and otherwise would only be interested in seeing you splat. Pally bubble of course nets you achievement. ok, it seems that nobody though of that. You need a way to be invulnerable (ice block, divine prot...) or ask a friend to bubble you before touching ground (or count how much is 65 yard so you survive). 1rst, don't bother getting drunk. At brewfest, say to one of the guy (sorry forgot the name) that you don't like drinking, he'll give you goggle that make you feeling drunk, and all drunk achievement count with it. Next, you go anywhere in outland/northrend and equip the goggle. You mount your flying mount, go in the here, unmount and bubble before touching the ground. Voila, you have the achievement and you're able to undrunk in 1 sec by removing the goggle. Easiest way I've found is to get drunk, queue up for Arathi Basin, then jump off the cliff by the Lumber Mill. Your teammates may look at you funny, but it gets the job done and doesn't involve travel. Most convenient place I've found (for the Horde) is at the Brewfest area in Thunderbluff at the southern lifts (since you will have to go there to zap pink eleks anyway). Get wasted off the free keg, run up to the lift directly behind it, and ride it all the way up. Then simply run off the lift (don't jump, just run) in the direction of the ramp at the bottom. You should land half way down the ramp, and get the achievement. Land at the top of the ramp and no achievement, land on the ground and you die. Found another spot where you can pull this off: the main elevators at Thunder Bluff. If you jump off the elevator itself and land on the ground at the base of the ramp that leads up to the elevator platform, you should receive this achievement. Using this I got mine last night without a trek to Shattrath! That was perfect! no muss, no fuss... Achievement done....Thanks! Just outside Iron Forge at 54,39. Take the path to the right as you face the entrance area of IF. Once at 54,39 then drink up. Jump on your mount and do a run and jump off. I got it on my first try. the only thing to is to be careful and heal up before you continue on because i died when i tried to jump further to get down off the mountain side. 1) 70.0, 51.5 is the place to be in Shattrath City. 2) You can simply use the Synthebrew Goggles with no alcohol. If you need alchohol, go north/northeast to the tavern. In the back is a Barmaid with some beverages. Get the strong ones. 3) You don't need to jump. Just run off the bridge at the coordinates above. 4) I'd say at least 16,000 health is needed to survive. Good luck! Thanks for the information from people previously. or for anyonelight of elune is a reward u get from this quest in ahenvale and it can be easily, just go to dalaran, fly up really high drink it, you will dismount and will fall, but not take any damage. thus easily getting the achivement!, also acts a a bubble hearth if u dont wanause it now. If you are a paladin just drink until you are smashed, use your flying mount lift up to the sky and dismount ,then Bubble andyou will get it. This is just above the restricted flight zone line, so you'll need to go and mount up and fly up first, then go land here, then jump off. you need to JUMP because you need to get past the purple cart on the ground (the one with the druid tree vendor by it). I got both Going Down? and Drunken Stupor off this. PS it took 5 Caraway Burnwine's to get me smashed. Very very very Nice spot, thank you! That is, if you have 100 hp and someone else has 1000 hp, both will lose, e.g. 30% of their health from a fall. I completed this achievement at the Stormwind Docks. I jumped off of the tallest ledge (the platform visible when first entering the docks from Stormwind) and landed on a Balista on the ground floor. you have to JUMP but not too far there because it will kill you. I found a good spot for lower level alliance toons - just off of Dun Algaz, from the zigzag path between tunnels, make your way out onto the top of Thelgen Rock. I jumped using a standard mount from coordinates 52.63, 68.09 and earned both the the Drunken Stupor and Going Down achievements in one jump wearing the Synthebrew Goggles. I have jumped several times from the spot in Shatt and one i either do not get the achievement or two I die. Any other ideas here? -Put on your best HP gear. Was messing around trying to get this and figured out a quick way. First, find a nice flat spot, like the landing zone in Dalaran. Next open up the "Stopwatch" feature and jump on your NORMAL flying mount. Go straight up when you start it and go for about 3.3s then stop (WoW stopwatch doesn't do fractions of a second, but it's not too hard to guess). Drop and cash in your achievement. Just earned this achievement wearing only Synthbrew Goggles with absolutely no other alcohol intake. So keep that in mind if you're having trouble staying drunk in some of the out of the way places. Found a good spot at honor hold next to the graveyard. Just go east to the corner of the building and the first hilltop there is the place to run off of...no mount needed and no jumping needed... just keep running and fall down with the plant on your right side. Two screenshots were submitted to show the place better. Should have been easy having already acheived "Going Down" around level 65 with half-my current health by jumping into Dalaran Crater, No problem... Nope! L80 now should have been a piece of cake. Went back to Dalaran Crater, tied one on and jumped in... Died three time trying. Went to the Aldor Rise in Shat, died! With almost 30k health base plus a Greater Blessing of Kings, Commanding Shout AND Last Stand enabled, I keep dying on this one and the repair bills are expensive. Yeah, I know it sounds pathetic, but something is very different now with the damage calculations in falling. I think even with the boosts, its still going to take the same percentage of damage (looks about 110%) so the only way is to have something to slow your decent or to protect you. UPDATE: Aldor Rise TOO High! Duh! Being allied with Aldor, I never realized how much of a difference in height between the Aldor and Scryer Rise. Went over to Scryer Rise stayed close to the lift so as not to pull aggro from the Scryer Guardians, tied one on and took a running leap off the southeastern side of the tower toward the Shat Brewfest. DING! Done, no buffs and ~2k of health to spare. The SyntheBrew Goggles are enough to qualify for "completely smashed". In the Arathi Basin BG, go up to the lumber mill, make sure you are mounted with a 100% speed type mount and just ride off where the flag is. Land on the path below and viola! Make sure you have brought means to get "smashed," loading in the BG will make you sober. Make sure there are no enemies up there for they will surely spoil your plans. This works on Going Down achievement as well. I believe this was stated in a few earlier posts, but this one is easiest in mho. flight to site land, jump off, get Going Down Achievement, fly back up to ledge, heal too full health, get drunk to the point your smashed, jump off again. Does this work with Synthebrew Googles? I had a druid next to me use them and it worked. so i assume yes, the googles work for this. **edit* why is this down rated? same info is further down posted at a later date but this was here first? and get neg? wow, geekdom lives. Jump off the stone platform atop the pillars in front of the North entrance at the base of Wyrmrest Temple. Just don't overshoot and fall all the way down to the Path of Titans. This is definitely true. Took me a little bit of testing to see where exactly to jump off the elevator. To clarify, just walk straight off the elevator when you get to the very top and aim urself towards the ramp. I also found that the goggles only get you drunk but not 'totally smashed' .. so i'm not sure if this will work with just them. Easiest way to get this achivement, forget falling straight down. Step 4: Click off mount and allow the momentum to carry you, it counts as Falling even thou you only actually drop about 20-30 yards. Takes a couple of tries but it works. Sidenote, this won't work if you don't have a flying mount. Go to the Exodar and enter from the main entrance (the one past the big barrels of booze). Go down the ramp and jump at the point where the ramp meets the end of the ramp leading down to the Naaru beneath the Exodar. A screenshot will be provided. I got this achievement at level 13. The best part is that if you lose the smashed state, you can run right back up the ramp and get more booze outside. fall off of the Thunder Bluffs lift on a side where the ramp and hill do not interfer. It is exactly enough distance to make the distance but no further. If you land of the platform, you will be wounded and miss the achievement. Be sure to buy beer or put the goggles on first. Mages can employ ice block while falling. DKs can use the blood drop icon spell...can't recall the name atm. This will give you both drunken stupor and the general falling achievement. Great place in Shatt on the bridge to do this, only I mounted up on flying mount and dismounted right over edge of bridge. I drank 5 alcoholic drinks until it said "completely smashed" then dismounted and got my achiev. Great place, worked great! Not sure how to measure 65 feet? Continue to die because you're a little too high, or miss the achievement because you were less than 65? 1: Go to top of Scryer platform to the right of the lift. 3. Run with mount off the platform, BUT also press jump rather than fall off (this jump makes the 62 feet turn into a perfect 65). Big thanks for screenshot. Made from 1st attempt. You can get this achievement whereing the drunk goggles. this is the place where i got my Going Down? I did this at the zeppelin tower by Undercity. Get on the zeppelin going to Grom' Gol, and jump as you go off the front of it (that's what I did anyway). I was a 42 hunter with 2350hp, and had 200 hp to spare when I landed. Head instead to the entry bridge to Shattrah (70, 53), and place yourself on top of the bridge so you land on the green grass of Lower City below it. The goggles will work for earning the achievement, accurate for 2009 at least. Accomplished with multiple alts. If you do it correctly, you'll end up with very little life and a new achievement! anyone clarify that power word shield would work for this achievement? You can do this achievment in Eversong Woods. Go to the top tower at Sunsail Anchorage and WALK off the platform to the stone docks below. This place is at such a perfect height that the difference between jumping and walking means death. The screenshot from Takamuri worked perfectly for those who don't wanna go back to Shat (edit) or the random places people are suggesting.. Important to note that the "Synthebrew Goggles" will not emote that your completely smashed like regular brews will, but just having it on allows you to complete the achievement anyway, no need to wait around or keep putting in on repeatedly. For Horde - The Elevator next to the Brewfest location outside Thunder Bluff. Step onto the elevator, turn 180 degrees and face out toward the ramp. Once the elevator reaches the top, walk off the elevator. Should land you on the ramp with health to spare and an achievement in your log. Another location to do this and the "Going Down" achievement is Falthrien Academy, Sunstrider Isle (near Silvermoon City). When standing at the Academy, walk up the north-western ramp and continue till you reach the plateau where the big green thingy is. Go to the southeastern edge of the plateau, walk over the edge (remember to get smashed first ofc) and drop down into the water. No jumping involved. I tried this achievement with my mage by jumping off Wyrmrest Temple, the Zeppelin towers as well as the Zeppelin itself outside UC and from the bridge behind Valley of Spirits in Orgrimmar. I tried every jump twice, both with and without Slow Fall and the only place I found that worked was the bridge in Shattrath. I did this without Slow Fall so I don't know if getting the achievement works with it. As I was passing by the elevator in Scryer's Tier, I saw a bunch of skeletal remains and my first thought was: Combat in Shattrath? no way! Then I saw an Orc jumping to what to me seemed like his impending death, he survived it and I saw his achievement. For a minute I had forgotten about the suicidal aspect of Brewfest and this achievement. In any case, I got mine too jumping from the right side of the platform, mounted and smashed. You also see Pink Elekks in Shatt btw! but shh... there's a mafia out there using dispersion rays on them! Simple. From Thunderbluff's main entrance jump off the right walkway and land on the brewfest wagon by the right ramp. The wagon has a brown roof. Hope that helps. Now you don't have to port to Shat. Just pick up the achievement while you kill pink elekks. Goodluck! If this helps you please be sure to rate it. I just did this in Dalaran landing zone. Mount up and fly right up next to one of the two pillars that are on the outer edge of dalaran landing zone and fly up until you reach the point where the pillar changes color from white to purple. Dismount to land on ledge and get cheeve. My "sweet spot" for getting Going down, and then this one, was in Exodar, on the ramp above the Seat of the Naaru, and right before the ramp. There's a slight corner, just drop from there and you should be able to get it easily. well i was just monkeying around at stormwind harbor with my mount when i happen to accidentally click forward . i thought i was gonna die from that fall but i didn't and in fact i got the achievement as well. Right. Slowfall effects do not work. Near Shattrath, I flew very high up, clicked off Flight Form, clicked on parachute, and clicked off parachute just before I hit the ground. I did not get the achievement. Pallys can launch themselves off the Zeppelin at TB and bubble before landing. I assume Mages can do the same thing. -Make sure to bring atleast 1 stack of any alcoholic beverage. It goes without saying that the best place to get it, is the brewfest event areas infront of all major cities. -Make sure that you remove all of your gear prior to attempting this, to avoid possible gear damage. 3) Get on your flying mount and lead him to the small flat empty island right outside Krasus' Landing. 4)Get yourself completely smashed by drinking the alcohol that you brought with you. 5)Start a countdown, 5 - 0(it is ESSENTIAL that you have the paladins full attention. If not, you WILL die), Place yourself as close to the edge, if neccersary, push the | \ button to walk, to be more precise. Once you're in position, begin counting down, and jump on go (2..1..GO). Soon as you say go, you jump, and the paladin uses Hand of Protection on you at the same time. It takes exactly 7.2 seconds for you to run off the edge, and hit the ground. If you have NO delay, you will have a spare 1.2 seconds, since the pally bubble is 6 seconds long. You'll also receive the Going Down achievement at the same time if you don't already have it. I'm not sure why nobody else has posted this, but what I did was get drunk, then go to Krasus's Landing in Dalaran, fly up into the air, and then deactivate my mount. I got the achievement instantly. For anyone that is thinking of getting a mage to cast "Slowfall" on you. It does not work. I got completely smashed to the point of drunken vomiting had it cast and jumped off Thunder Bluff. No Achievement. best place to get this is in Darkshore by jumping into the Maw of the Void. you get 0 damage, and there is a quest item down there from a very low lvl NPC that gives you another achievement when you cash it in. Go to the molten front, get the quest "into the fire", get drunk, while you will be falling in the cave you will get the achiviement. Well for those of you who are lazy like me, I did the original and the brewfest version in Org. 6 jugs of bourbon, and I walked off the ledge to the right of the flight path up top, if you are looking directly at him. (Directly to the right of the elevator.) Enjoy. Here's what I thought was a brilliant idea, but it didn't work for me. Maybe it will for you. When I finished the Ghosts in the Dark achievement, which involved the very difficult step of jumping into the Maw of the Void, after the cutscene, I got credit for Going Down. My cunning plan was to do this jump while smashed and double-dip. Unfortunately, you only get the cut scene once, so if you've already earned the Ghosts in the Dark achievement, you can't do this; jumping into the Maw merely starts the Breathe counter. However, if you do not have Ghosts in the Dark, I don't see any reason why this wouldn't work; I think you could get Going Down and Drunken Stupor simultaneously and then finish Ghosts in the Dark about 90 seconds later when you've met those criteria. Could somebody test and see if this works? Just get it near the Ironforge. Don't jump off it, just walk forward and fall. i did this on my druid in stormwind harbor just fly to the ledge just where the park was get smashed then fly a bit lower click out of flight form and go cat as you take less damage from falls in cat form and hey presto! Don't forget to remove your gear when attempting this achievement to reduce them repair bills. At Orgrimar i did this by standin on the bridge at Drag,i stanted on the small coils(pillars) underneath the bridge idrink to get smashed and fell,easy achiev. I was able to get this achievment (as well as the Going Down?) in Swamp of Sorrows near the Sorrowmurk encampment. During questing in the zone you get shot from a cannon near the vilage to a boat to the east, after obtaining the quest items you can use another cannon on the boat to shoot yourself back. Just land on the boat, get smashed and use the cannon on the boat and the achievment(s) are yours! Well, It's Brewfest again (2011), last time I got some other Achievements, this time I'm trying to get Drunken Stupor. I'm gona try Kurasu's method. Edit: It took a few try's but it worked :) . The 'sweet spot' is at 70.0, 51.5. Engineers can use a parachute and get the achievement. Head to the main entrance (Durota). You should see two massive tower in the huge wall. Mount up and fly. The sweet spot is just underneath the roof (where the wooden logs are). Head to the harbour. As you enter the habour mount up and fly, and Stay adjacent to the highest ground level, and drop onto the level JUST above the actual docks (the lowest level is the docks, you want to drop onto the ground one level above it). Both location will deal approx. 99% of your MAX HP. So make you have FULL HP. A Videos from Orgrimmar and Elwynn Forest for low levels which don't have a flying mount yet. For low level chars (= those who aren't yet able to do the Twilight Highland one, or the fall within Azjol-Nerub, or some other cool way and who manage to miss the aim in Stormwind Harbor when being drunk... *cough*), I recommend the Maw of the Void in Darkshore. Jump into it while being completely smashed and you'll fall down safely. If you are in front of SW's front gate, the taller of the towers - right at the top of the point (not the flagpole) is high enough. Just did it wearing the goggles. Nice NEW place for those that are low level and it causes NO discernible damage. Head to Darkshore and go to the Maw of the Void (53.1, 31.8). Get yourself nice and plastered, jump in the water, wait for the short cut scene, and bam! Instant achievement. Don't forget to talk to the elf to get out. Very easy, and no damage, is to use the canon at Swamp of Sorrows (98.0, 26.0). Very easy, and no damage, If u dont doing the quest then use the canon at Swamp of Sorrows (98.0, 26.0). Very easy and safe, (no loss of HP) is to use the Landward Cannon @ Swamp of Sorrows (98.0, 26.0). If you don't doing the quest Entrada explosiva then you need to fly, kill 2 Talhador Guelblin & maybe 1 Invasor Guelblin (2,371 - 2,453HP) then get smashed and use the cannon. Here is an easy way to get this achievement for Alliance side. Go to Azuremyst isle and to Azure Watch. ( note: Draenei already did this quest, so if you create a Draenei around Brewfest, be sure to get this easy achievement. ) In one of the quests you must go to a Furbolg Totem named Coo( I believe). After you brush up on your Furbolg, you will be taken to a mountain. Complete the quest, for another quest that you must jump off the mountain and venture beyond the river for the next Totem. You will be given a spell to slow down your speed when you jump off the mountain. BEFORE you accept the quest, get completely smashed. After that, accept the quest. When you land, you should be able to get both the Sorte dos bêbados and the Do chão não passa! one. This is great for people with low level toons that can not go to Shatt. I also heard there is a quest like this similar with the Night Elves, but it's in the first starting zone. Hope that helps! You don't need to be drunk to do this. Wearing the Synthebrew Goggles is good enough. I did this in the Stormwind Harbor. It's easy if you can fly. Just keep going higher and higher and then dismount. It should only take a few tries before getting it without dying. For those who cannot get to Shattrath, there is an easy way in cataclysm. Go to the swirling vortex of water south of Lor'danel in Darkshore and jump in. You will swirl around a bit then it will drop you just about exactly 65 yards. I have tried this on 3 characters and it worked first time for all of them. Found the best place to get this achieve and also Going Down without taking any damage at what ever level, is un the Maw of the Void in Darkshore coord (52,33), just jump drunk into the whirlpool and get the achieve once u fall into the cave. You can use the goggles to fall with to get achievement also i fell off the elevators at Thunder Bluff to kill the Elecks. It worked. Undead Priest. The easiest way to do this is to find someone with a 2 person flying mount. I did it on the recruit-a-friend rocket. Get smashed, then have your friend fly you very high in the air. They should now dismount. They will fall to their death, but you will get a parachute and safely fall to the ground. As soon as you touch the ground, you'll get the achievement. Orgrimmar has a sweet spot for Any Level. - Jump down, if you only fall, it won't give you the achievement. - There is a small decline on the ledge, make sure you jump before it starts to decline. For those telling people to go to Shattrath and Swamp of Sorrows there is a far easier and quicker method that can be achieved within yards of SW trade bank and auction house. I will post a picture to Wowhead after posting this comment. Head towards StormWind gates as though your leaving for Elwynn Forest. As you approach Tria's Cheese on the left and Stormwind visitor's center on the right mount up and fly on to the left tower and stand as close as you can to the edge while facing the road. get smashed then just run off, don't jump just run off. And there you have it. PLEASE NOTE: In the screenshot I used a rogue so you will notice only 50K damage out of 120K - this is because rogues have reduced fall damage. However I have done this on mage, pally and druid and all have worked without any shields or buffs. EDIT: @Ilovetoast, the location I posted works for all classes and is easiest because unlike docks it will work every time on any class. Guess I am not sure why you would downrank a comment that shows a easy method just because you haven't tried it. There is a very simple way to get this achievement with absolutely no risk of death, damage or failure. Step 1: Go to Darkshore in Northern Kalimdor. Step 2: Leap into the Maw of the Void (here: http://www.wowhead.com/maps?data=148:524324). Step 3: Receive achievement (and the "Going Down" acheivement if you don't already have it) and marvel at how easy that was! Dun Morogh has an Easy spot for Any Level. - Aim just to the Right of the tree without snow. - Jump as soon as you start running in that direction to get the achievement. Get completely smashed and head to the docks in SW. Stand on the ledge in the location of the screenshot I submitted (awaiting approval, will edit this out once it's posted) and walk off (don't jump). You can even get to this ledge without a flying mount. Barely lived, but got the achievement. For Horde people: Just go to the mountains at the right of Orgrimmar's principal entry and it will do it. Step 1: Get a mage. Step 3: Get the mage to give you slow fall. Step 4: Fly up a good amount and dismount. Easiest place to do this is the "Maw of the Void" in darkshore. Just jump into the whirl pool, once you land you'll get the achieve and be none the worse for wear. For those Alliance 85's that don't want to travel all the way to Shattrath or Dalaran for this Brewfest achievement, a perfect, close place to the Brewfest grounds is the first ledge on the Ironforge 'door'. Screenshot so you all know what I'm talking about. The circled area is the exact place I jumped from and earned my achievement with 20 - 25% of my health left. I've just achieved both, Going Down? and Drunken Stupor by jumping in a tent (Jump-a-tron 4000) south Clan Watch in Nagrand, no damage done. You don't have to travel to Shatt City to jump off the Scryer's elevator to get the achievement. I found a way to do it in Ironforge. If you face the entrance to Ironforge while mounted, there is a ledge high over the entrance. I used my rogue to jump from there, and due to the "safe fall" ability survived and got the achievement. I then tried with my death knught and promptly died twice. If you look to the left of the entrance, there is a ledge lower than the one referred to above. Jumping from this ledge, you will survive, but this ledge is not quite high enough to get the achievement. Use your mount to rise a little bit higher than this ledge (maybe 5 - 10 feet) and dismount. You may die once or fail to get the achievement, but just adjust your height slightly and it will work. Did this with 2 toons and got the achievement for both. Don't forget to strip down to your underwear while falling down. It saves a high repair bill. Here's a great location, because you don't have to leave the Brewfest. If your a flyer, try right at the entrance to Ironforge. Mount up at the archway, and fly straight up until you hit the top of the arch. Back out a bit and go up just a tiny bit more. You should be aligned with the ornate stonework around the arch. Dismount and you are all set. Works either intoxicated or with synthebrew goggles. Pain-less way to go... TFW, get to saved instance after council, get smashed, jump to Al'akir. Simple as that. Easiest way to do this is to get in Isle of Conquest, get on the ship, jump and let the parachute does all job for you. I am obviously not doing something right with this. 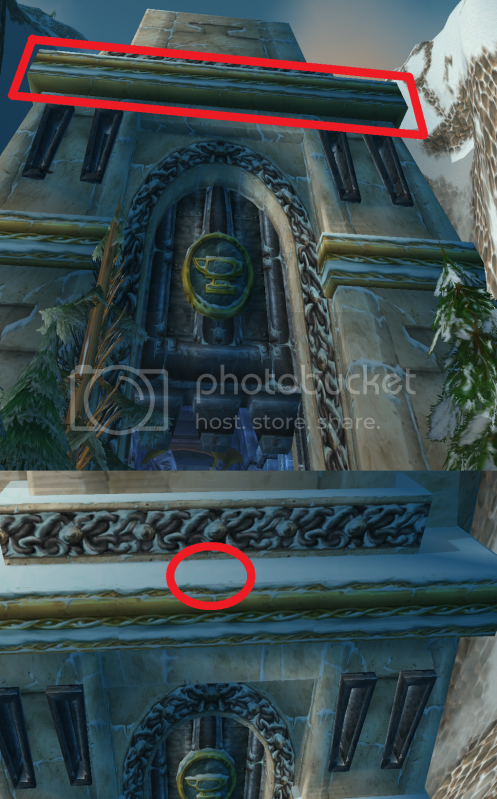 More than one person has mentioned jumping off the ledge above the entrance to Ironforge and it's not working for me. I have jumped off 3 or 4 times and die every time. I have walked off 3 or 4 times and died every time. I even tried just flying up and dismounting at the ledge several times and die every time. I have over 135K health and I still die every time. I even tried taking off EVERYTHING, leaving me with only 45K and I still die. WHAT AM I MISSING? One good place that I found, and it won't even cause any damage, is the big whirlpool in Dark Shore. Just jump right in, it goes to a quick cut-scene and when it ends, you wake up in a cave and you have the achievement. I haven't tried it drunk yet, but I'm sure it will work. 2 - Get a Mage to put Slow Fall on you. 3 - Fly up as high as you want (mounted or bird form) As long as your above 65yds. 4 - Shapeshift or Dismount and fall back to the earth . Can be done anywhere with out a building or having to jump at a certain angle etc .. Good Luck ! 2. Take off all gear so it doesn't take damage in case you die. 3. Get next to any vertical landmark. 4. Fly up next to the landmark but not too high. 5. Remember how far up you are by using the landmark as a reference point. 7. Repeat steps 4 - 6 going up just a little bit at a time. Of note is the fact that falling damage is a percent of your total health. 65 yards seems to take about 95% away while 70 yards or further takes 100%. I found a sure way to get this achievement if you have a flying mount. Go to Zangermarsh where you'll find mushrooms of different heights all around. I went to 64.13,62.27 (next to pump station East of The Lagoon) to the mushroom with a flower on top of it. Stand at the flower, face the pump station and head to the left toward the edge where you'll see a hut below. Jump toward the left of the hut. Might have to do it a couple times to get the exact spot, but I did 6 toons this way. Piece of cake! During the Brewfest holiday, take 5 strong alcoholic beverages to Darkshore. Go to the place on your map with the swirl in the water next to two caves, not far from Lor'danel. When you get to the waterfall where the water is falling, take 5 sips of your alcohol (your chat box will tell you when you're completely smashed) then jump into the swirling water below. No need for slow fall or bubbles. Ask the woman inside to help you out or hearth. This is easiest done in Orgrimmar. Get drunk...Go up where the flight master is. Go to the lift(elevator) right behind the flight path. Wait for the lift to be at the bottom and jump. You live and get the achievment for Drunken Stupor AND Going Down....I have done this on ALL my toons in Shadowmoon. Stock up on Darkmoon Special Reserve and jump into the void, drink two while falling and there you go, Going Down! And Drunken Stupor. Ride to SW harbour from the left side of Cathedral Square. Go down the first small flight of steps straight in front of you which lead to a dead end platform with a statue on it. Mount up and jump straight from that platform towards the docks below so that you fall straight past the next level and hit the lowest level of the docks, and bingo you have your achievement! ...hic! If you are a priest and have Spirit of Redemption, then a fall from a flying mount of sufficient height to trigger this will earn you this achieve even if it is triggered by your death. This probably shouldn't work, but this is how I got it. Took me completely by surprise too. Under the roof of the tower (part of the front gate of Orgrimmar) in Durotar. Jump west toward the Brewfest tents and you should get it. Make sure you're completely smashed or wearing Óculos da Visão Cervejárica. Make sure you're full health because fall damage is percent based. For Paladins, simply find a high cliff (I used the cliff in Elwin Forest just outside of Stormwind @ 25.92, 53.08). Activate your Divine Shield (protects you from all damage for 8 seconds) and quickly proceed with your cliff dive. You'll reach the bottom with the achievement and full health. :) Lazy and drunk, didn't want to leave Ironforge. Go to the front gate of Ironforge. The wall with the actual opening into Ironforge is recessed slightly into the rest of the wall creating a slightly overhanging lip directly above the opening. Get drunk. Fly up until you hit the overhang. Dismount. This worked as a druid in flight form. I'm not sure if mount size matters. Edit: The arched overhang above the opening isn't high enough. I'm talking about the horizontal overhang above that. u can get this easy, just get a priest Levi you ! 1. Have 5 stacks of alchohol of your choice which has the tag "very strong". 2. Fly far east to swamp of sorrows where you will find a ship in the ocean where a cannon is on the deck of the ship. 3. Clear the adds on the ship. Goblin $%^&*! works for this and probably parachute as well. Fly up really high, fall, and hit it before you hit the ground. When you land you get credit.
? It filters G.lider ? The cliff on Azuremyst Isle: Accepting the Totem of Coo's Quest, it'll provide you with a set of wings that'll slow-fall you off the cliff. Maw of The Void in Darkshore, you automatically spawn inside the Ruins of Bashal'Aran without taking any damage as you fall in. Town-In-A-Box on the Lost Isles during the Goblin Starting Experience: You get a parachute, just load up on some alcohol beforehand, mail some to yourself from another when you blow up the plunger beforehand though. Has anyone noticed that at some point in Mists of Pandaria the name was changed from 'Drunken Stupor' to 'Almost Blind Luck'? For seemingly no reason, this achievement has had its name changed from 'Drunken Stupor' to 'Almost Blind Luck', at some point during Mists of Pandaria. Divine shield doesn't seem to work anymore, just tried it while wearing the goggles and did not get the achievement. Sadly you must be wearing the brewfest goggles to complete this. being completely smashed doesn't work. Just tested this at Maw of the Void in Darkshore. Followed @rezist's screenshot (3rd screenshot on top row in screenshots gallery) & got the achievement w/some health left to spare. The spike is a great spot to jump off of if you're Horde. But, where to get those? I've spent 100 tokens on Belbi's Eyesight Enhancing Romance Goggles, but it dosen't work for the achievment. This achievement requires Óculos da Visão Cervejárica. These can be obtained for free from certain NPCs found in the Brewfest area. Since the achievements are Account bound now , it doesn't matter which character you get it with. I highly advise to do it with a Paladin or a Mage.Just did it with my Pala alt , just go as high as you can on your flying mount , dismount and before you fall cast Divine Shield/Ice Block.Very easy. Slow Fall type of spells dont work. I wore Synthebrew Goggles, got on a non-flying mount, and ran through the tunnel to Stormwind Harbor and off the ledge (veering slightly to the left). I landed on top of one of the catapults at the bottom, got the achievement and didn't die. Super easy! If you're an engineer, you can fly up on your mount, dismiss your mount and glide down with your glider and receive the achievement. When I did it, I put my camera to an overhead perspective and simply spun the camera in circles so that I'd fall straight down. Doesn't flying up and falling to an ocean/lake work? I just submitted a screenshot for Hordies. In Org go to the top level where you learn to fly/where the zepplin towers are. Go to the edge of the cliff facing where the entrance of Org is. You should be looking at the back of the Tower where the Warchief is. Just run off there and you should get it. I aimed for the ropebride, missed, landed on the ground and had around 5% life left. No problem. For Characters below 91 level - This item might work. Would falling into the whirlpool in Darkshore work for this? I recall getting a falling achievement before with that. This achievement can now be earned by falling whilst under the effect of a Priest's Levitate. p.s. Don't forget to wear your Synthebrew Goggles. Flying high up in the air and using Kit de Planador Goblínico, Planador Goblínico or Forro de Flexitrama to obtain this achievement will work as well. As of certain EU bull#$%^ which resulted in the removal of the quest "Catch the Wild Worpletinger" this Achievement is impossible to get on EU Servers. Although some things have been put into the EU server NPC's bag of goodies to help with some of the Achievments (at a stupidly high price, I might add) the googles that are available are not the same, so do not reward this achievement. Bit of an oversight on Blizzard's part that. I put a ticket in about this. You can still get drunk the usual way, and throw yourself off a cliff, but it does not award the Achievement without the goggles. Okay, so I recieved a response from Blizzard Support, and the guy assured me that "there's an NPC who uyou can just talk to to get the synth goggles" but I have yet to see this mysterious NPC. To be fair, the guy did state "there's seems to be haveen an issue with your char regarding this" and so he just put the goggles inmy inventory. Once the synth goggles are in your possession, the Achievement is still obtainable. If you have problems locating this elusive NPC on the EU servers then contact support ans ask for them. I found that if you mount a flying mount, and then hit space bar about 15 times then dismount, you get high enough to survive the fall and get the achieve. Equip goggles - Take portal in Dalaran to Dalaran Crater - Profit. This achievement seems bugged as of 22th of september on EU servers. Tried everything imaginable and never got it. The one thing I did get to work for me was standing on top of the turret tower on the corner of Stormwind's wall (right by where you catch the boat to Kalimdor) and stepping off of it to land on the pathway closest to the buildings - not off of the longest side - that will kill you. I tried this with my lvl 103 Hunter and got the achievement first try - landed with about 25k health left. Hopefully this helps others who are finding it difficult to trigger the achievement. The synthebrew goggles XL that Belbi Quickswitch sells for 200 tokens are the wrong goggles for the achievement. You need to talk to Goldark Snipehunter at coordinates 55.37 (dwarf standing among haystacks) to get the right goggles. Not able to obtain in 7.03 (checked on alt that location still proc'd the Going Down achievement, so it's not that I wasn't high enough). Guessing it's because they changed the item name? Who knows. Also, remember that Óculos da Visão Cervejárica XL do not work for this achi. Don't waste your tokens on them unless you want to keep them. You can not get the achievement with Óculos da Visão Cervejárica XL. You need to have Óculos da Visão Cervejárica equipped. The effects from those 2 items are different ones. Stupidly easy with a mage. Fly up a mile, dismount. Right before you hit, ice block. fly up to top of entrance of IronForge. Put Divine Shield on yourself. you should land before the divine shield wears off. As Demon Hunter you can just fly up and glide down. If you're going to use a goblin glider, levitate, slow fall, etc., be sure to use it at the highest point, before you jump/dismount. I used the goblin glider attached to my cape (engineering) close to the ground and failed, then used it right after I dismounted high in the air and succeeded. You can use Elixir Avalanche to get this achievement. Get your Synthebrew Goggles from Glodrak Huntsniper (Horde) or Goldark Snipehunter (Alliance). The Synthebrew Goggles XL bought for 200 tokens does NOT work! Wear your Synthebrew Goggles. Fly up high. Dismount. Use a Goblin Glider Kit and land with it. I'm not sure if any other Hunters have had this issue, but it certainly gave me a bit of a headache trying to get this achievement. I tend to be a little bit clumsy, so I have a lot of practice disengaging when I fall off bridges, cliffs, ledges, etc... so I figured I would just fly straight up and freefall the 65+ yds. Didn't work. I tried four different times, flying up as high as it was physically possible to fly over Orgrimmar, until my mount hit the upper rim of the realm, and dismounted. Landed perfectly every single time. No achievement. I don't know if there is something in the disengage mechanic that affects how it is determined, but it did not give me any credit for it. I tried one final time, flew up just as high, dismounted, popped on a goblin glider, and what do you know... achievement. Just thought I would share in case there are any other frustrated hunters out there. Cair 65 metros sem morrer usando Óculos da Visão Cervejárica durante a CervaFest.